ESU is a public university located in East Stroudsburg, PA and is one of the 14 institutions in the Pennsylvania State System of Higher Education (PASSHE). Across ESU's 213-acre suburban campus, their student body of over 7,200 and hundreds of faculty members are reaping the benfit of recycling at every Bigbelly disposal point and total containment of waste to keep campus cleaner. In fact, 6,780 gallons of this last 12 month's waste was recycling... That's nearly 50% recycling! Way to go ESU Warriors! As originally reported by ABC Channel 16 News, ESU community is leveraging the system to properly dispose of recyclable items on-the-go, and showcasing that both waste and recycling bins at each disposal point leads a meaningful, mesaurbale diversion! In addition, the campus grounds crews are benefitting from knowing when to collect each bin, saving on unnecaarry collection trips every monrining. 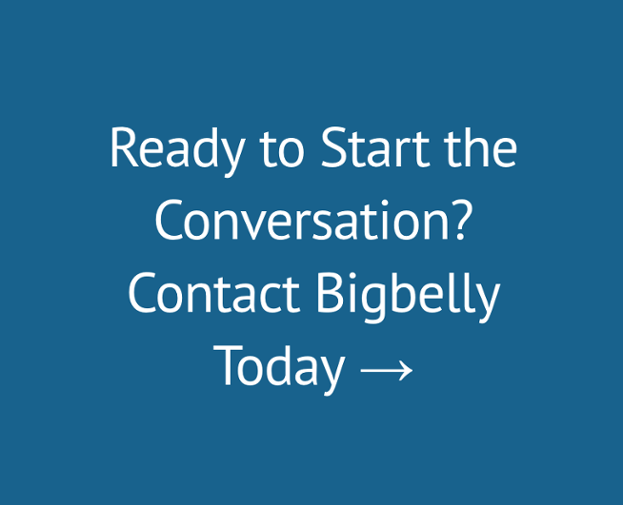 Watch the video from ABC and read on to learn more about Bigbelly on ESU's campus! Trash compactors are one of the ways East Stroudsburg University manages trash on its campus in Monroe County. To students on the campus of ESU, they just look like normal trash bins. But get a closer look and you'll see a solar panel covering it. These bins are trash compactors and they are powered by the sun. "It gives more resources to the community and the university would be more efficient in using this kind of power and less electricity," said senior Brianne Baccarella. 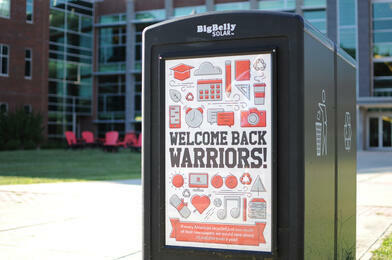 There are six Bigbelly solar bins scattered around the college campus. Three are for regular trash and the other three are for recycling. "There is so much, so many students walking down the street, they have bottles of water, they have snacks on the go. So it's important to recycle, it's important to have the recycling and trash right next to each other," said Liz Richardson, ESU University Relations. Inside each trash compactor, there is a little computer chip that lets the maintenance crews know when each bin is filled, so not only are these bins saving the campus money, they're also saving the maintenance crews time. "We don't have to have the grounds crew come out and check every trash can, every morning. They know when it's full. On top of that, because of they are compactors, they save a lot of, you get more capacity. So it's saving space, time and money," Richardson added. The eco-friendly compactors also reduce the amount of greenhouse gas emissions that are released into the air. The bins also work in all different weather conditions. Students here hope to see more on campus. "I think it's good for the campus and even the surrounding area because we are a college town that is helping and it sets an example for East Stroudsburg and Stroudsburg," said sophomore Ben Ace.